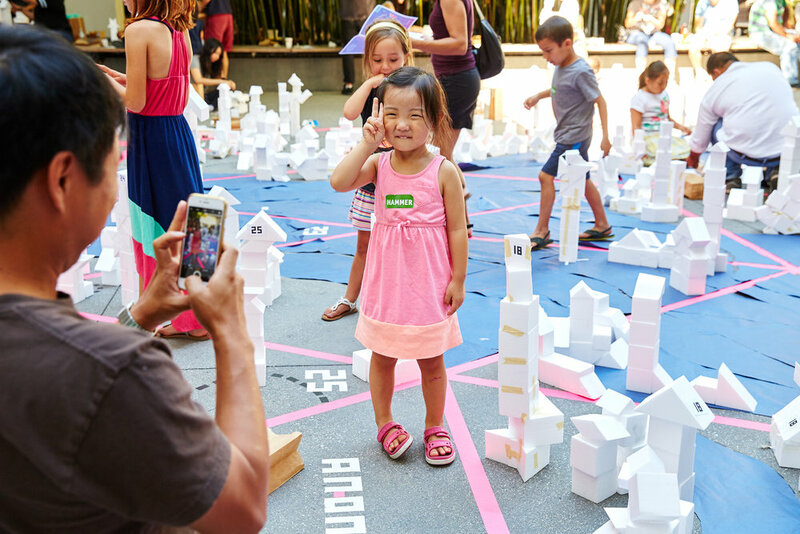 Inspired by Buckminster Fuller's World Game, the City Game is designed to engage the general public with the role of architecture and urban design within the increasingly changing landscape of our cities. 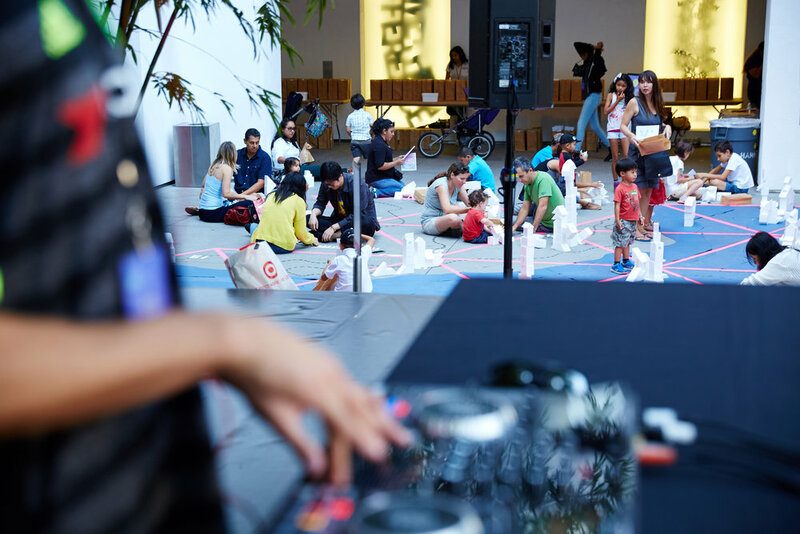 Commissioned by the Hammer Museum in Los Angeles for the 2016 Family Day, the goal of the project was to synthesize art, architecture and urban planning to raise awareness of the changing conditions of our cities, and ultimately spark new dialogues about building a better world and reimagining the future. 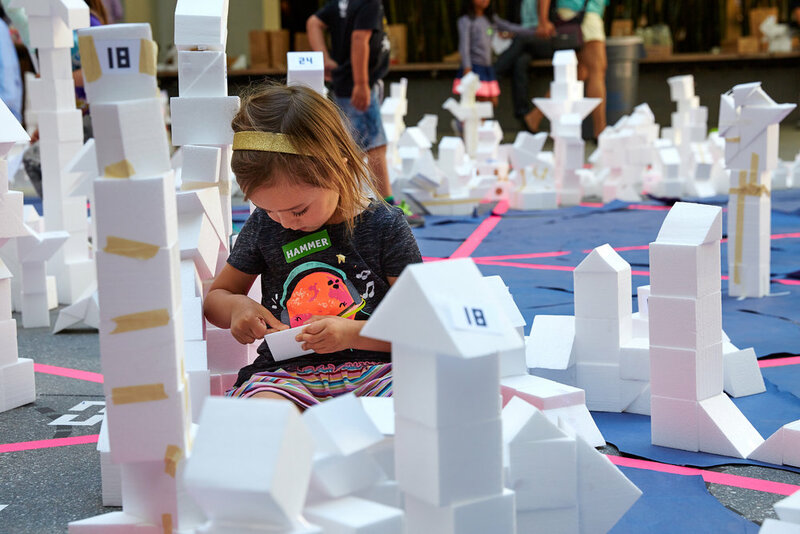 The participants were asked to construct a building model from a kit of parts and place their models in designated zones within a larger map. 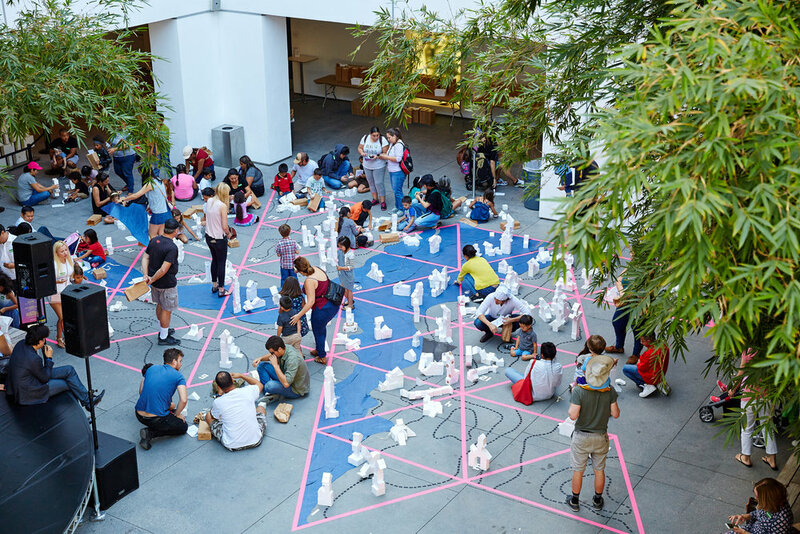 At each hour during the four-hour period of the game, the boundaries of the city's waterfront expanded, urging some participants to adjust their building design and forcing others to move out of their zone to safer areas. 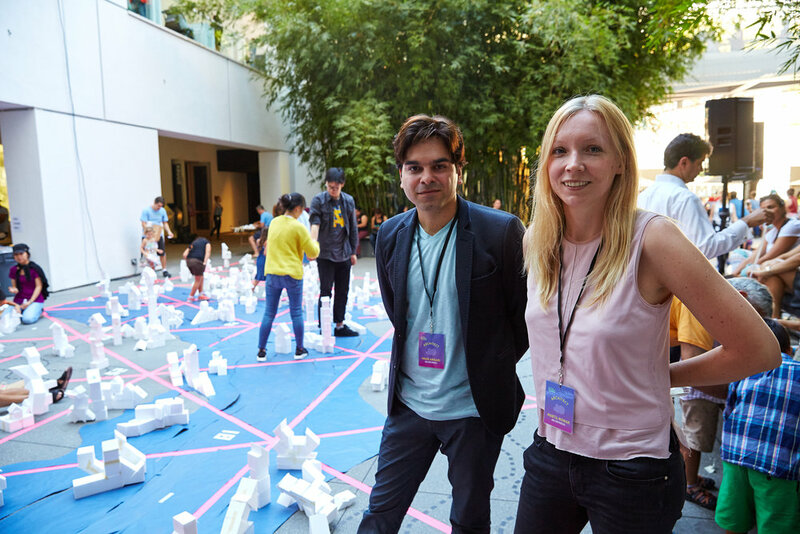 More than 1000 participants played the game who built over 400 models. 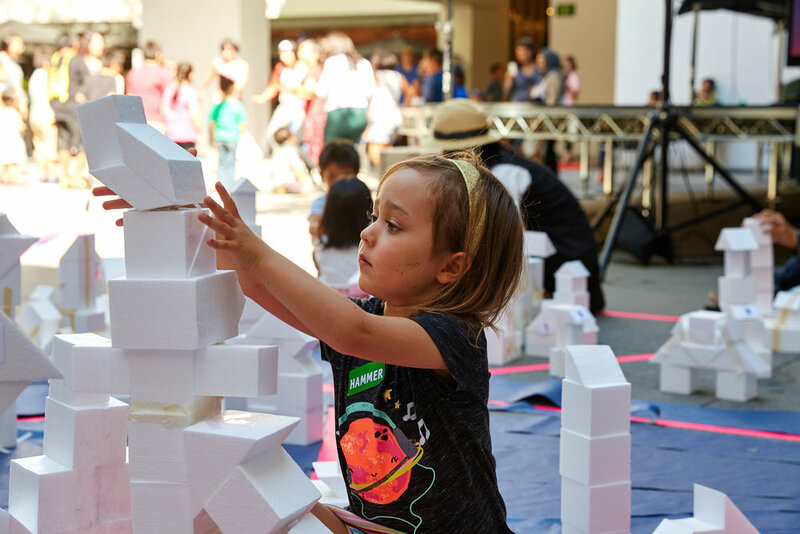 Through the game, participants learned about creating architectural objects, discovered how cities come about and grow, learned to address challenges of density, climate change, distribution of resources, and finally the role of architecture and urbanism in both creating and resolving environmental challenges.